Our Team Comprises of Gifted intuitive healers, counsellors and teachers whose passion is to empower others to use their unique gifts, to heal and transform, and to create a life filled with joy. They are experts at unraveling the secrets of your past and forecast the successes and important milestones of your future. They can guide you towards those successes, reminding you of your strengths and highlighting opportunities you might otherwise miss. Malati is blessed with the gift of Clairvoyance & Intuition. She is an Accurate, Intuitive and Empowering Consultant having over 21 years of experience in Tarot card reading, numerology, Crystal Healing, Vaastu and Palmistry. She is able to integrate wisdom from her many fields of knowledge and life experience into her readings. 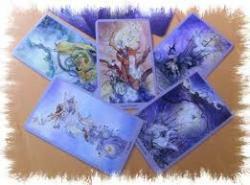 Using her own unique Tarot card spread, Malati uses her special psychic gifts to interpret and reveal what the cards are saying. She offers consultations in, Tarot, Vaastu, Numerology, Crystal Healing and Palmistry. She has also been contributing her yearly Numerology Forecasts and other enlightening and thought Provoking articles in several magazines & Newspapers. Several of her political and worldwide forecasts have proved uncannily Accurate! Divya Khanna is a Clairvoyant, Psychic and Intuitive counselor, with an Extraordinary gift that has been continuously developed over the last 14 years. She is Incredibly Accurate and her Powerful & Detailed readings leave her clients amazed and excited about their future. Divya offers consultations in, Tarot Reading, Vaastu, Numerology, Angel Reading & Crystal Healing. She has been contributing Yearly Tarot Forecasts and various articles for the Astrological Magazines & Newspapers. Prerna is a Gifted Clairvoyant, Psychic and Intuitive counselor giving guidance to her clients by using the Tarot and her psychic abilities for over 12 years! This experience gives her style of reading with a sense of professional and proficiency. She is able to deliver psychic readings that are accurate and in- depth that leaves her clients astounded time after time. Prerna offers consultations in, Tarot, Vaastu, Numerology, Crystal Healing and Angel Reading. She has also been Contributing various articles for the Astrological Magazines & Newspapers. How Does Tarot Work ? Tarot cards have an Aura of Mystery about them that connects to basic sense of curiosity and wonder. Tarot is the most subtly beautiful divinatory method, working through archetypal images depicting universal life experiences. They can also give you a reflection to what has happened in your recent past, along with what has the potential to happen in your immediate future. 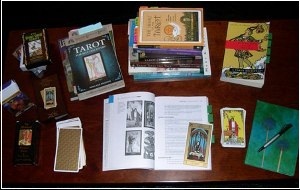 We offer Certified Tarot Courses which will help you to become a professional Tarot reader. Our Certified Tarot Course takes you deeper into the tarot journey. With the help of our Tarot courses you will be able to build a relationship with your tarot cards & can read for yourself, family & friends, & Aim to Have a Wonderful Tarot Reading Career Ahead! 1.They have Numerous Award Winning Predictions to their credit. 2. Their Articles on Yearly Numerology Forecasts, Tarot Forecasts, Angel Healing & many thought provoking articles have been published in leading Newspapers & Magazines.